Pat O’Hare is a local surfing legend and has been making boards for years. In fact, my very first board was a James & O’Hare. I could not have timed the trip better. Flew into Orlando just before the storm came in and flew out after it headed up north. On Thursday it was way too choppy and gnarly to go out. The next two days it was fantastic for Cocoa Beach. Chest to overhead and stacking up three deep. Plenty of push and shape. Had a couple of great sessions and surfed until it felt that my arms were going to fall off. 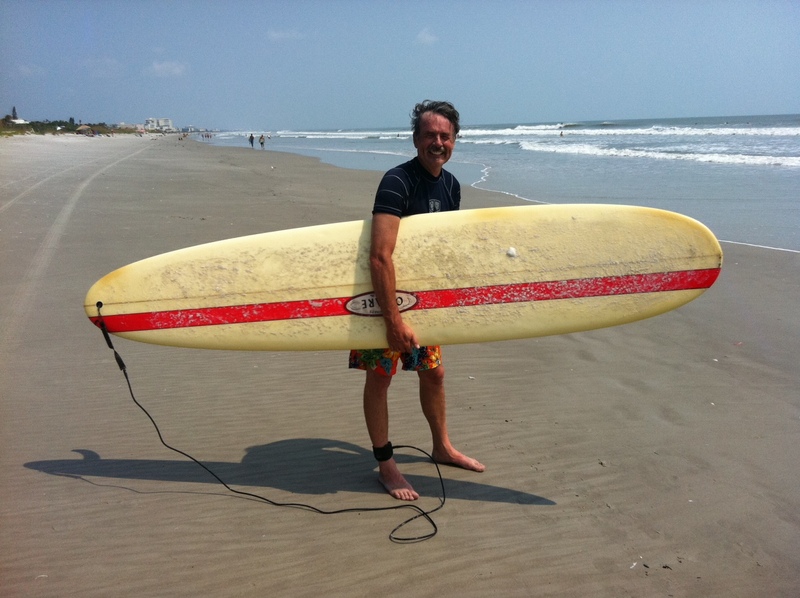 Went out again Sunday but it was back to typical Cocoa Beach surf – low and slow. Here is a video that was taken in Cocoa Beach and Satellite Beach and really does a good job of showing the surf generated by Irene. Fortunately, Irene stayed about 200 miles out and there was no local damage.